What She Wore During Fashion Week – Day 5 | Winona, Inc. 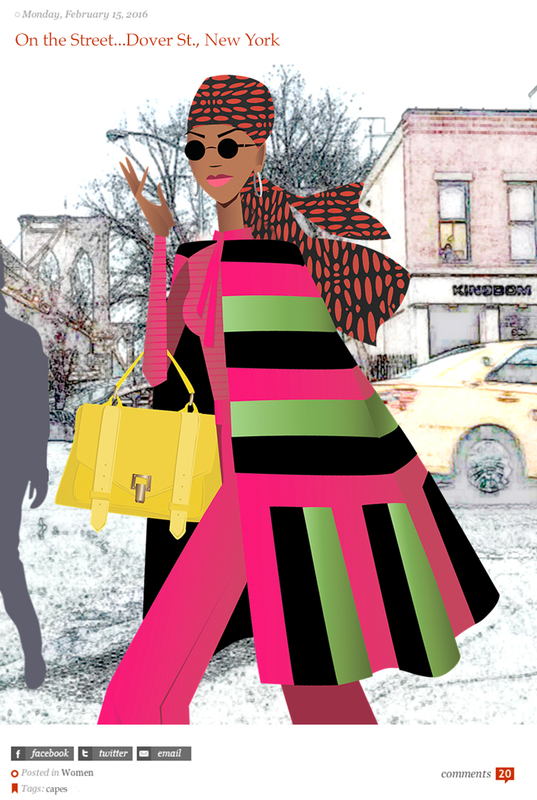 Tapped by THE SARTORIALIST near the Brooklyn Bridge, Winona is resplendent in a vibrant cape by DURO OLOWU. Bag by PROENZA SCHOULER. Day Six.